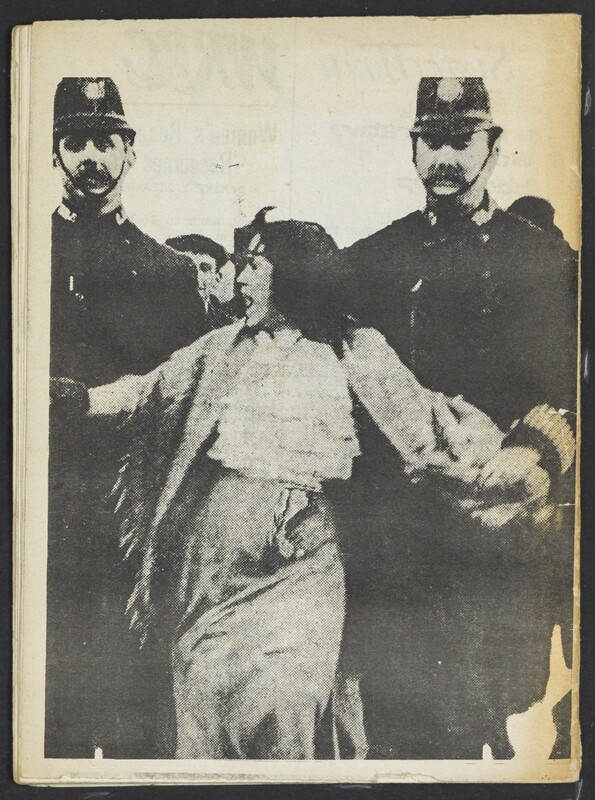 This pamphlet is part of the Ron Heisler collection in Senate House and has been digitised by their special collections team, copyright of the pamphlet is held by its original creators Clare Manifold for the Rights of Women group and was originally created in 1979. One of the research librarian team in Senate House, Leila Kassir, recently re-discovered the text and recreated the walk https://passagewalks.blogs.sas.ac.uk/ which inspired her to contact Clare and Vanessa who wrote the pamphlet for the Rights of Women group who offered legal aid and support to women in the UK. This month we have two student placements who are adding these scanned images to the Layers of London map, taking photographs of the sites mentioned today, researching and undertaking interviews and social media campaigns to compare female activism in London today and speaking to organisations and groups that owe their work to the legacy of the women and groups referenced. A scanned copy of the full document can be found here and keep your eyes peeled for the wonderful work Lara and Jessica, our student volunteers, are taking on over the course of the month!